Benson’s Heating & Air Conditioning promises customer service that exceeds the expectations of Eastpoint FL residents. Call us now at: 850-562-3132. We’d love the opportunity to earn your business as we have with your neighbors in Eastpoint FL. We're way out away from civilization, but these folks managed to help us out in a breakdown, then their maintenance is great. Lee Costa gained our trust his first visit. He still has it. Jessie seems to be a very sharp, competent and very customer oriented technician. We were very impressed. She should be a great asset to your team. I preformed a summer time tuneup on an Amana and a Heil system in Eastpoint. Systems are working properly at this time. I performed a winter time tune up on an American Standard Heat Pump on St. George Island. I performed a winter time tune up on 2 Goodman Heat Pump on St. George Island. I performed a winter time tune up on two Goodman Furnaces on St. George Island. Performed a gold level second visit tune up on the equipment. Testing system operations, component amperages, capacitor ratings, refrigerant pressures, cleared and cleaned out both drain lines, changed all the filters in the home, and cleaned the condenser coils outside. The systems are working properly at this time in air conditioning mode. Preformed Silver Level maintenance 1st visit on 2 heat pump systems. . I checked all parts and operations in cool mode. The (1) 20x25x1 and (1) 16x25x1 filters were changed and both of the drain line were cleared. The customer was emailed a copy of the maintenance report. Overall both systems are cooling properly at this time. Performed a summertime tune up on two Goodman air conditioners in St. George Island, Fl. Found the downstairs system completely frozen from the case coil to the compressor. I defrosted the system, and found it low on charge. I added 2 pounds of r-22 refrigerant to get the system cooling. I also replaced both filters, and cleared the drain lines. The systems are cooling properly at this time. 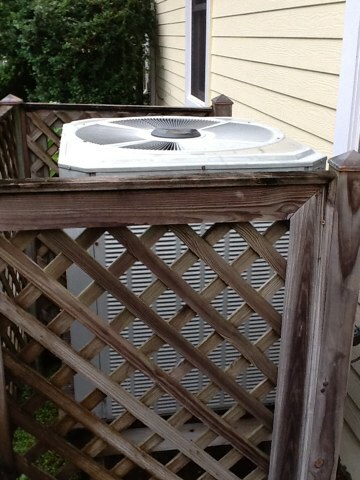 Performed a summertime tune up on a Lennox air conditioner in Eastpoint Fl. Dropped off Filters at the front door, nobody answered the door. Performed a maintenance tuneup on American Standard and Goodman heat pump systems. Repaired a broken York air conditioner in St. George Island during an emergency service call. 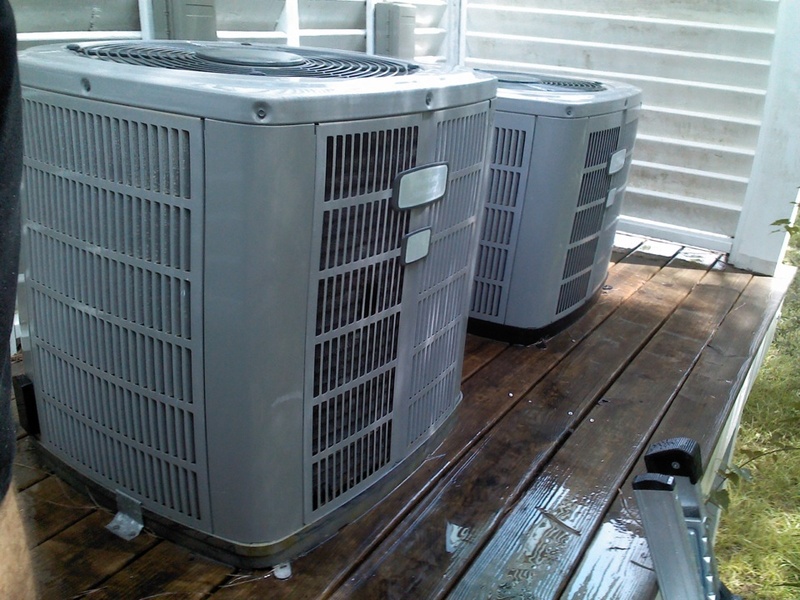 Performed a summertime maintenance on two York heat pumps in St. George Island. Performed a maintenance on two York heat pumps in St. George Island. 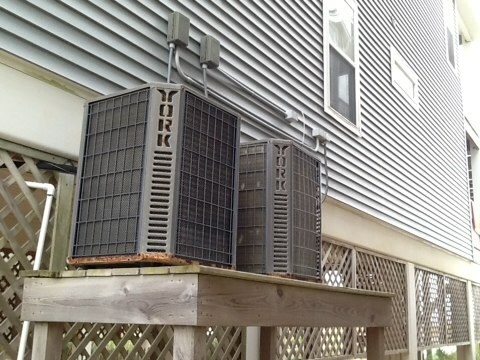 Performed heating tune up two York heat pumps. Systems are working properly!